Ben Stiller directing and starring in the film of his career. The Secret Life of Walter Mitty has been compared to some big name films and has been frequently labelled “The New Forrest Gump”, but for me it has enough loveable aspects to stand alone and be regarded as having its own story and being its own style of film. Surprisingly funny and powerful, The Secret Life of Walter Mitty has heart and a great storyline with an even better message being conveyed. Inspiring visuals and cinematography then add the star quality Stiller would have hoped for creating an entertaining watch. Ben Stiller is Walter Mitty, a dreamer so busy dreaming he doesn’t get to live, always finding himself “zoned-out” in the background of everything that he does. A long-time server and loyal employee of Life Magazine Mitty works as a negative film developer but his position is soon under threat due to the magazine turning to the world wide web, revealing there will only be one more issue of the global magazine printed before the online version is launched. 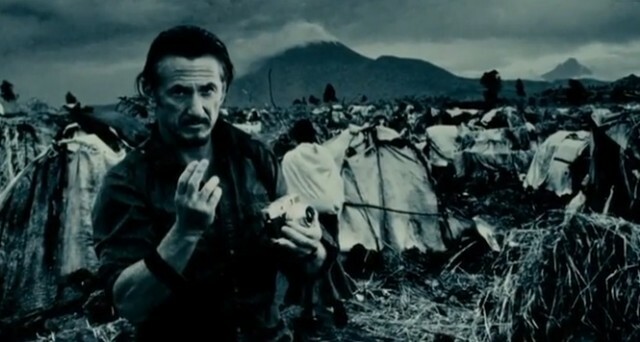 When photojournalist Sean O’Connell (Sean Penn) sends Walter “the best work of his life” for the final issue, the intended final front page, shot negative 25 goes missing. Stepping out of his daydreams Walter Mitty goes on the most courageous adventure of his life in attempt to track down the mysterious photographer and the missing photograph that takes him half way across the world. The adapted classic tale also focuses on the growing relationship between Walter Mitty and his co-worker Cheryl Melhoff (Kristen Wiig) that sets up a rather heart-felt romance and relationship. The film in a whole is very pleasant and heart-warming whilst at the same time surprisingly funny from script to scenes. In the opening of The Secret Life of Walter Mitty the focus is very much on the constant drifts from reality by Mitty, where he rescues small dogs from fires and makes harsh compassions between his boss and the beloved Dumbledore. The rest of the film though, focuses on the idea of reality both however are very action packed and entertaining. The art of enjoying this film is to stretch your imagination; at times the humour is silly and so is the story but despite this it is hilarious and entertaining if you let it be. The gags are great and the majority are due to the unfortunate events in Walter’s life, the comedy almost hints at Stiller’s previous work, especially Zoolander. The action is the highlight however as the missing shot takes Walter half way round the world, to the jaws of a shark and to the face of an erupting volcano, providing more than enough escapism. The thing I loved most about the story of Walter Mitty is the element of truth and realism it holds; especially speaking about myself I can firmly say we can often find ourselves drifting from reality into daydreams and wild imaginative thoughts all with the same hope of one day experiencing them. Ben Stiller and Steve Conrad have really worked well together and have successfully achieved a great adaption from James Thurber’s classic, creating a film we can all relate to. I can see The Secret Life of Walter Mitty achieving many awards and much recognition; technically I believe the film flourished in terms of visuals and cinematography. The vast amounts of long shots and wide shots showing off scenery views from mountains to long roads was awe inspiring and a real treat for the eyes. The score was also a real gem, especially the clever inclusion of the classic Space Oddity by David Bowie. The Secret Life of Walter isn’t perfect, at times the narrative has flaws and the script comes across too cheesy making it look like it’s trying just too hard for laughs and gags. However you leave the cinema feeling inspired and there’s a real special element about this film that is quite unique. The ending is a real heart-warmer and glorifies a fantastic piece of writing, if you’re thinking of seeing The Secret Life of Walter Mitty than I can only ask you take it for what it is and then you will really realise how great this film is.